Canis Major, the big dog, stands low in the south-southeast at nightfall (depicted here) in late February. It features the brightest star in the night sky, Sirius, also known as the Dog Star. 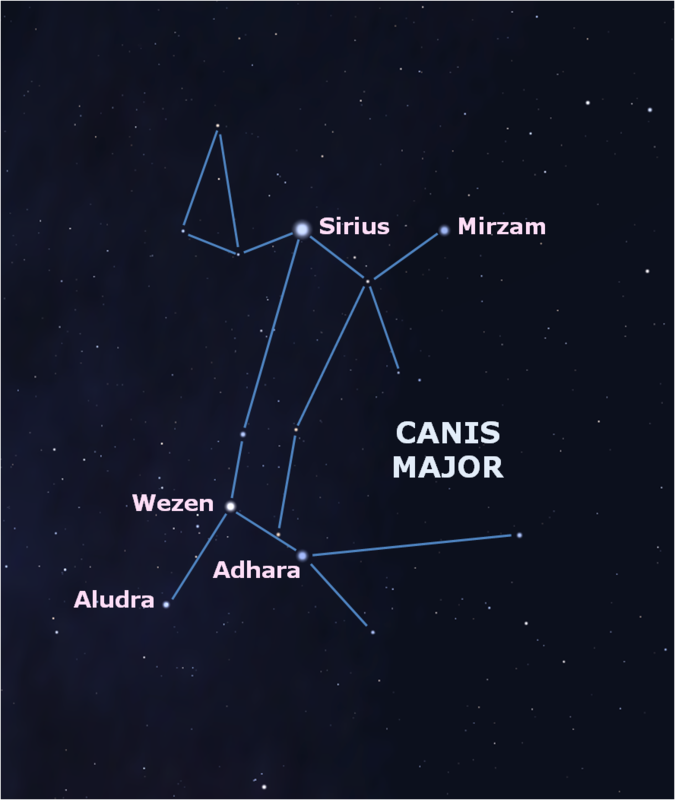 But the constellation also offers some stars that are even more impressive than Sirius, such as Mirzam and Wezen, but that look fainter because they're much farther away. The stars of Orion stand above the big dog, with Orion's three-star belt pointing almost directly toward Sirius.